The following online training videos have been made available by the manufacturer of GoldMine. First Direct Corp. strongly encourages you to not rely on these as your only source of training for GoldMine. These videos only cover the very basic/high level view of the features/capabilities of GoldMine. First Direct Corp. has over 25+ years of experience with using, supporting and selling GoldMine CRM and our GoldMine Training Services can greatly help you maximize your ROI by assisting you with implementing a CRM system vs learning to use a CRM software program. 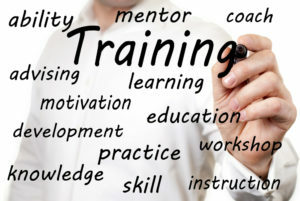 Naturally if you are not sure where to begin or what training is best for you, then please speak to our experienced sales staff about the different GoldMine Training options that we provide. Speak to a GoldMine expert! What is a Local install and how do you do it? What is a macro and how can it save me time? Help! My Process Monitor seems to have disappeared! This series of 7 short videos will show you the easy steps for installing and getting started with GoldMine Premium Edition. A typical SQL Server & GoldMine installation/setup can take 2+ hours. These videos are provided by the manufacturer of GoldMine software and may or may not contain all the steps needed for a proper installation of SQL Server and/or GoldMine. Always check to ensure your system/computer meets all the necessary system requirements for the version of GoldMine & SQL Server that you will be installing. Also please refer to the GoldMine installation guides regarding the specific version of GoldMine you are installing. The installation and setup of GoldMine has changed since these videos were first created. It is highly recommended that you speak to and work with one of our GoldMine technicians who have many years of experience (25+) in upgrading, installing and migrating GoldMine applications and data.